If you’ve been searching for a way to finance a new car with bad credit, then you may have finally found your lucky break. With a little help from our Mercedes-Benz financial services, you too can drive the vehicle that you’ve always wanted to own! Right now, it’s easier than ever to take advantage of our bad credit auto financing opportunities and new vehicle specials. When you talk to one of our experts, we’ll work with you to ensure that your Mercedes-Benz payments are manageable. Drivers near Fairfield, Napa, or Benicia can learn more about their options by visiting Mercedes-Benz of Fairfield today. We want nothing more than to see our friends and neighbors behind the wheels of vehicles that they love, and we’ll even help you to apply for financing! Start a conversation with us today. 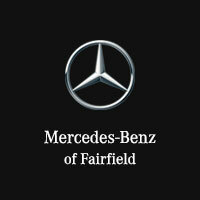 Curious drivers can get a better sense of the services we offer at Mercedes-Benz of Fairfield by checking out our blog! Whether you’re looking for more useful tips on bad credit auto financing, great ways to save money, or information on Mercedes-Benz’ celebrated vehicles, you’ll find plenty that interests you here. While you’re here, check out our guide on how to negotiate a good car loan. 0 comment(s) so far on Can I Finance a Car With Bad Credit?